Free Home Spa Ideas are every women search for. As a working mom, it is hard to keep up with everything on ourselves. We are a super woman, handling million tasks to perform and of course it's easy to lose yourself along the way. After all, you're forgetting about the one person deserving of some much needed and well deserved Tender Loving Care – you! Before you reach the point of frustration, or even despair, think about what is truly important to you. 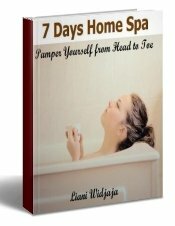 Why don't you start with "7 Days Home Spa" e-book. The good news is you can download free in this site. So what the bad news? It all depends on you! Can you spare 30 minutes in a day for doing the program? Well, why not? It's about time to do "Me Time". This program was born from my experience that I don't have much time to take care of my beauty plus I feel tired each day. And I thought many moms are having the same experience with me. From day 1 to day 7 you are about pampering yourself from head to toe with natural herbs or fruits and using essential oils so that your mind will relax too. I try to make simple as it can be. So you don't need a lot of time preparing it. Just go by the program day by day and at the end of the program, you will feel your body and mind refresh. Simply subscribe to my newsletter and I'll send the link right away! I promise to use it only to send you AromaLiving. Don't have time to make your own blend? Don't worry about that. 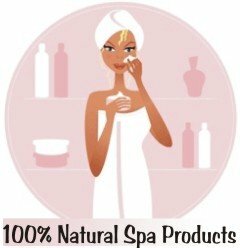 Check this Cheap Spa Products For Home Use. These excellent products will make your spa more enjoyable.